The business of earning money online through affiliate marketing is ever evolving. What worked two years ago isn’t necessarily working now. It’s important to keep ahead in this game else you’ll be left behind. You may have heard about Click Funnels (ClickFunnels) by now. This is a revolutionary SAAS (software as a service) company developed by Russell Brunson. But What is Click Funnels And How Can It Help Your Blog? And is it worth the money you pay? Let’s find out. Our blog posts do contain affiliate links. This means that if you decide to buy anything through our links we will earn a small commission at no extra cost to you. This helps us create more blog posts like these that provide value to our readers. The brainchild behind ClickFunnels, Russel has pioneered the software for ClickFunnels beginning 2014 when the frustration and time required to build a successful funnel just became too much for him to handle. Russell and Todd got together for a week and mapped out their dream software and the rest is history. Russel Brunson is also the author of the very popular DotCom Secrets book that has sold over 100 000 copies. ClickFunnels software helps bloggers, business owners and entrepreneurs to monetize their platforms, audiences and passions. With traditional online funnelling, if you do it DIY, it means that you have to deal with website hosting, landing pages and email autoresponders. With ClickFunnels you can build niche landing, sales and shopping cart pages on one platform without having to worry about website hosting and autoresponders because they take care of everything. With any blog you want your visitor to take a certain action. It could be to sign up for a newsletter, free course or purchase something. When a visitor does what you want them to do then it’s called a conversion. A funnel is basically a set of steps a visitors need to go through before they reach a conversion. A “ClickFunnel” is a little piece of magic where high rates of conversion happen in your funnel, much more than your average blog post. Creating a funnel for an affiliate or physical product has never been easier. CickFunnels integrates seamlessly with WordPress. You can also run your entire blog on the ClickFunnels platform. What Sort Of Funnels Can I Create? 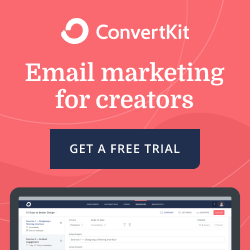 Optin/Lead Funnels – You can create a free offer in exchange for someone email address to grow your mailing list. Sales Funnel – Specifically designed to convert visitors into buyers. You can create a sales funnel to sell a product or service. You can also add upsells/downsells to your sales process. Membership Sites – You can create a recurring income by creating membership sites. Webinar Funnels – The main goal is to get visitors to sign up for your webinar. Easy to create funnels and implement. Free funnel templates for every niche. Integrates major email services and payment providers. Can seem overwhelming in the beginning but if you take it a step at a time you can master it in no time. Expensive if you opt for the Etison plan, but you can easily make that money back with your ClickFunnels affiliate program. The standard plan limits you to 100 pages and 20 funnels but that is plenty if you run a small blog. First off, I love WordPress. It’s the first platform I started blogging from and it will always have a special place in my heart. However, you have to do what makes sense for your business. Here are a few things to think about. This is definitely the cheaper option especially if you are just starting out. The basic package with ClickFunnels starts at $97 per month. The price might seem steep but as John Crestani says, find ways to afford it not reason’s why you can’t. If it will help you convert more visitors into buyers then you can’t afford NOT to have it. ClickFunnels has a solid record and their software does work, so don’t worry about being scammed by them. You can run your entire blogging business (email list, blog and funnels) from ClickFunnels. This, of course, does cost more but you don’t have additional web hosting, plugins or email software costs. This is an all in one package taking a lot of stress out of blogging. 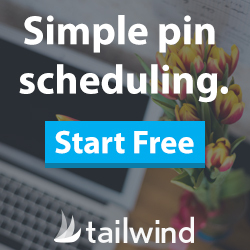 Knowing that you only have to log into one dashboard and you have access to your entire email list, funnels and blog posts sounds fantastic. Since we’ve introduced ClickFunnels into our blogging business we can see a huge difference. So sign up for the 14-day trial and see what you think. When you get the hang of it and it starts making sense you’ll understand the power of ClickFunnels. We suggest moving across to the Etison Suite when you are making enough money to afford it. If you haven’t signed up for ClickFunnels 14-day trial we suggest that you give it a go. It can really change your business. We have put together free training for our readers to show you how easy it is to monetize ClickFunnels. It’s an easy to follow 7 step process using ClickFunnels. Celeste is a co-founder of Feral Africa along with her husband, Keith. Their love for travel has led them to create a Digital Nomad lifestyle. She is passionate about helping others create a similar lifestyle. She also loves travel photography and surfing. She believes that the best thing about being a Digital Nomad is that you can live anywhere in the world.